Car collectors often say the vehicles they fill their garages and warehouses with are the same models that they lusted after in their younger years. Back then, they had to content themselves with building scale models and staring at posters, books, and Automobile magazine. But today, with a little more spending power, those dream cars can become reality for the lucky few. As Ferrari buffs know, the F40 has its roots with the 288 GTO Evoluzione, a car that was developed for the quickly-shuttered Group B FIA racing class in Europe, then repurposed for the street. 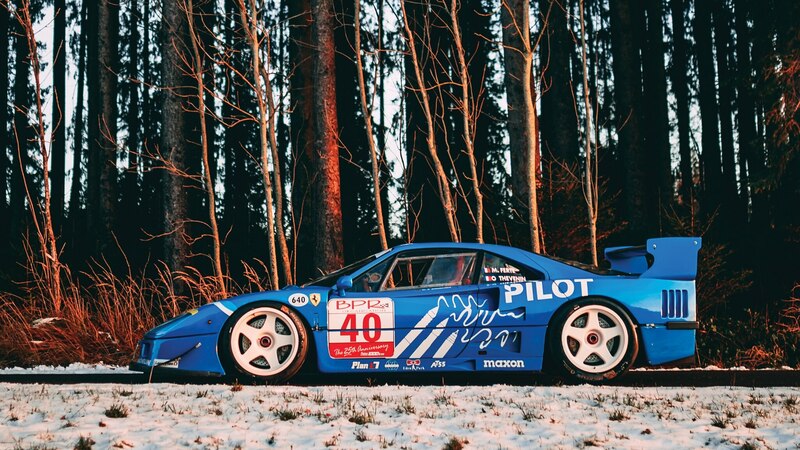 As things would go, the F40 road car was ultimately turned into a racer of its own, with the F40 LM. Most race modifications were undertaken by Italian tuner Michelotto, using larger turbochargers among other modifications that brought horsepower up to more than 700. Meanwhile, the rest of the car was fully prepped for the track, with a beefier transmission and braking system, a stiffened chassis, and lightweight modified body panels and aerodynamics. This particular car was converted by Michelotto to LM spec after its former life as a factory prototype and was run by several race teams thereafter. It’s currently finished in its most recognizable Pilot-Aldix team livery and raced twice at Le Mans, finishing 12th overall in 1995. 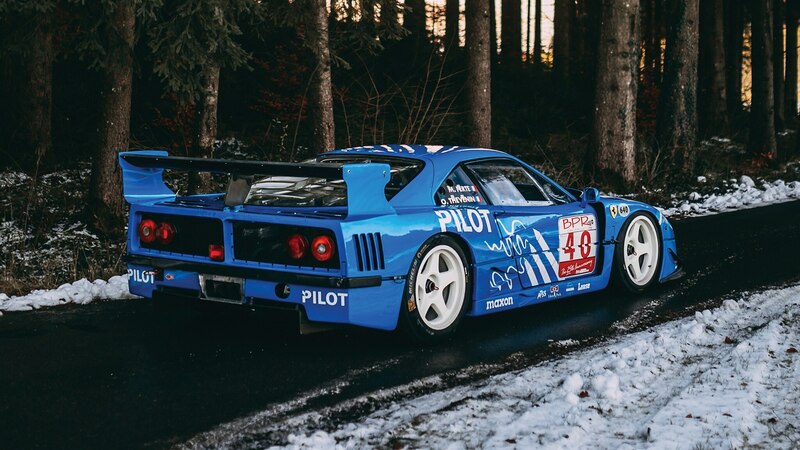 This is the car every F40 owner wishes theirs was. For several decades, AMG was its own company—separate from Mercedes-Benz, it focused solely on tuning Mercedes vehicles and found quite a lot of success on both the road and the race track. 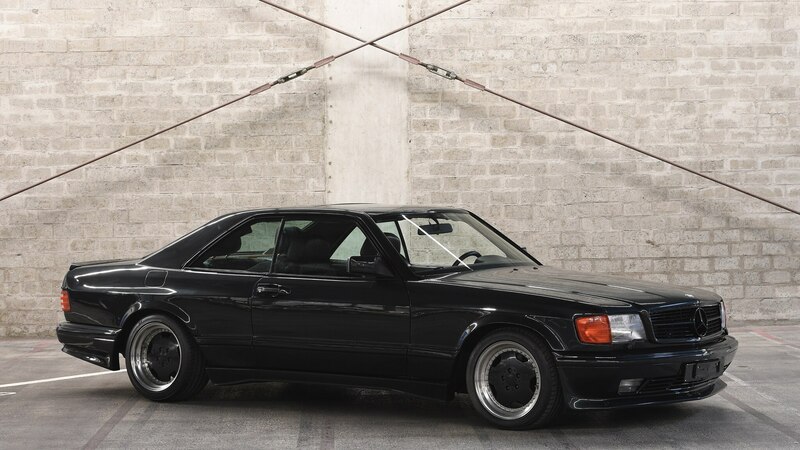 The 560 SEC AMG 6.0 was one of the most famous vehicles from the independent AMG era (though warranties were maintained by Mercedes by now) and one of the last AMGs to be built before the brand was brought under Mercedes’ ownership. With an AMG-built 6.0-liter engine based on the standard 5.6-liter V-8, torque was said to be twice the 5.6’s at just half the engine speed. AMG-commissioned fenders, door panels and wheels gave the car its ‘Wide-Body’ nickname. This is one of around 50 cars thought to be made and has covered fewer than 28,000 km (about 17,000 miles). If you drove one of these in-period, make no mistake—you were a boss. 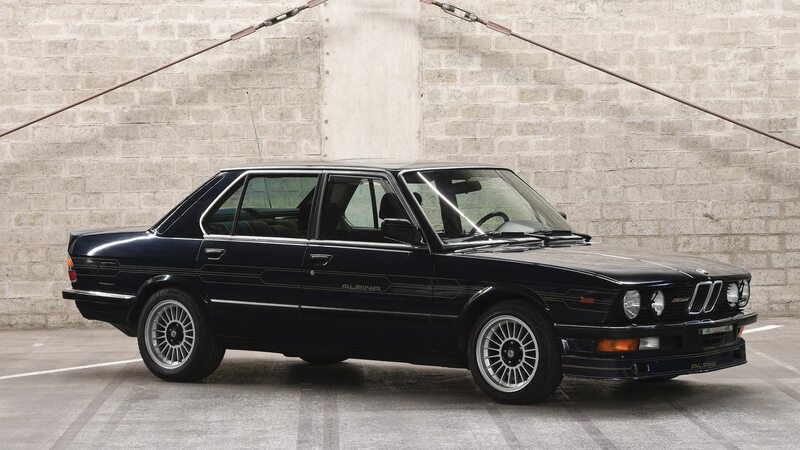 Alpina apparently saw the performance potential in the E28 BMW 5 Series before BMW’s M division did, beginning production of the B9 3.5 in 1981—some four years before the first M5. That allowed it the title of ‘world’s fastest production sedan’ for several years, with its high-compression rebuild of BMW’s standard 3.5-liter straight six. A more performance-oriented camshaft and revised Bosch Motronic ignition programming gave a bump in power from the 525i’s 218 horsepower to 245 horsepower—far more than a period Corvette or 911 SC. This car is fitted with the optional automatic gearbox (no doubt a disappointment to some would-be buyers) and some 577 Alpina B9 3.5s were produced in total. Industrial machine tools maker David Brown didn’t just purchase Aston Martin in the late 1940s, he also purchased the Lagonda and Tickford Limited automotive companies. However, those two brands lay virtually dormant until the early 1980s when Aston Martin used Lagonda to designate flagship luxury models and turned Tickford, once a coachbuilding business, into a high-performance engineering division. 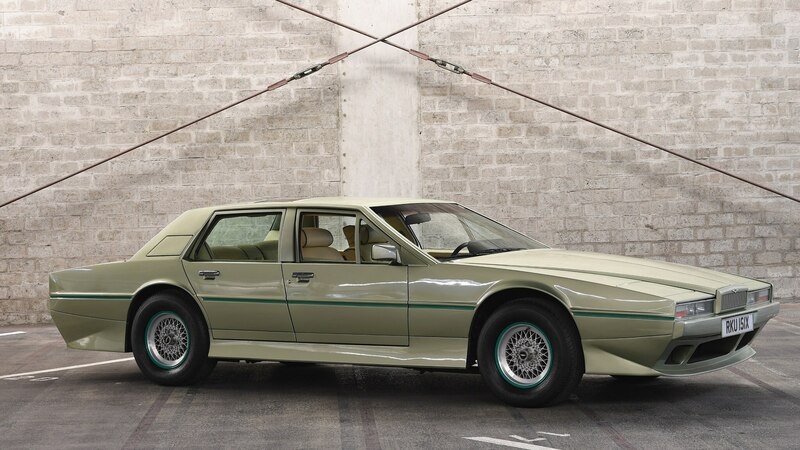 The result: the rather rare Aston Martin Tickford Lagonda. Based on a standard Lagonda sedan, the Tickford version adds aluminum side skirts, a unique front valance, and 15-inch BBS wheels. Just 11 Tickford variants of the Lagonda were sold and this one has just around 15,000 km (~9300 miles) on its odometer. As if the wedge-design, pop-up headlight, digital-instrument-panel Lagonda weren’t exclusive enough! The Quattro that started it all. 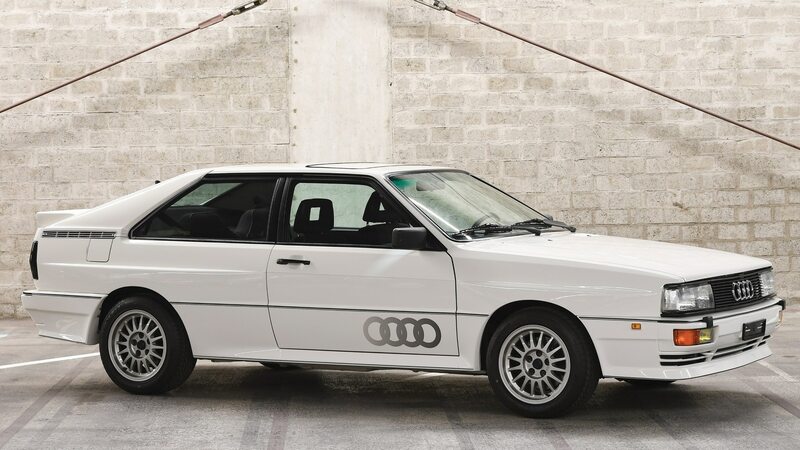 Built to homologate Audi’s fire-breathing Group B rally cars, the Ur-Quattro had a turbocharged 2.1-liter, five-cylinder engine underhood good for somewhere just shy of 200 horsepower. Paired with Audi’s Quattro all-wheel-drive system, the car was a pioneer in the sports-coupe segment where serious performance cars were almost exclusively rear-wheel drive. This one has just over 42,000 km (~26,000 miles) on it and spent most of its early days in Spain before moving to the Netherlands and then Switzerland. Values for these cars have finally come up in the last few years, especially for low-mileage examples. No, it’s not an M6. This is BMW tuner Alpina’s first 6 Series–based conversion, the B7 Turbo. 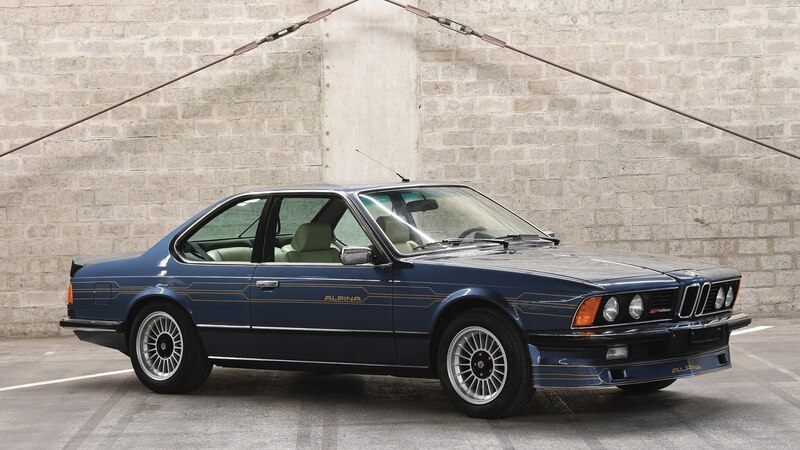 Whereas the M6 used a slightly modified version of the naturally aspirated straight-six engine from the M1 supercar, Alpina’s B7 packed a turbocharged version of the standard 630CSi’s 3.0-liter inline-six. Fortunately, output was competitive with the M6 with driver-adjustable boost pressure allowing for between 250 and 300 horsepower (the M6 made 282). This is one of just 183 B7 Turbos said to have been built and we dig the unmistakable Alpina graphics. In the late 1970s, Ferrari had abandoned factory sports-car racing to concentrate on Formula 1. 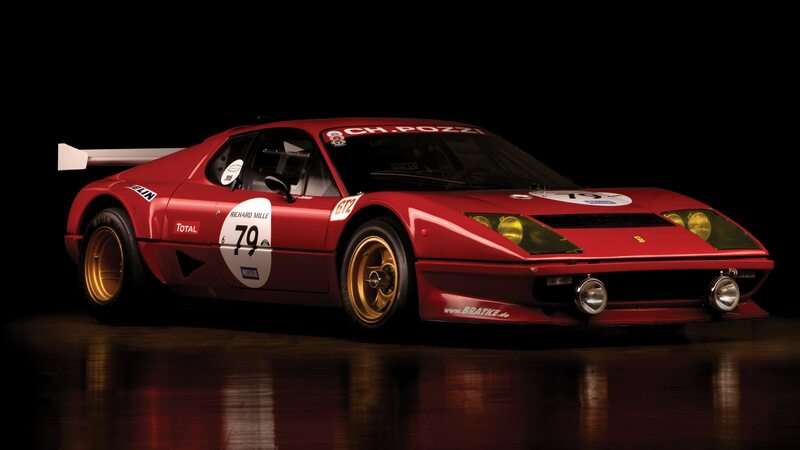 That led several clients to ask for support to turn their new 365 GT4 Berlinetta Boxers into full-fledged race cars, the result being the 512 BB ‘Competizione.’ Essentially sold as a special kit by Ferrari’s Customer Assistance department beginning in early 1978, the special parts included a rear spoiler as used on the F1 cars, a new front air dam, wider fender flares, wider wheels, larger brakes, and flush headlight covers. Original versions also had their engines enlarged from 4.4 liters to 5.0 liters, but this car is a 1980 model by which time all production cars had a 5.0 engine as standard. The kit on this car was retrofitted by its German owner just after delivery and raced throughout his home country in the early 1980s. 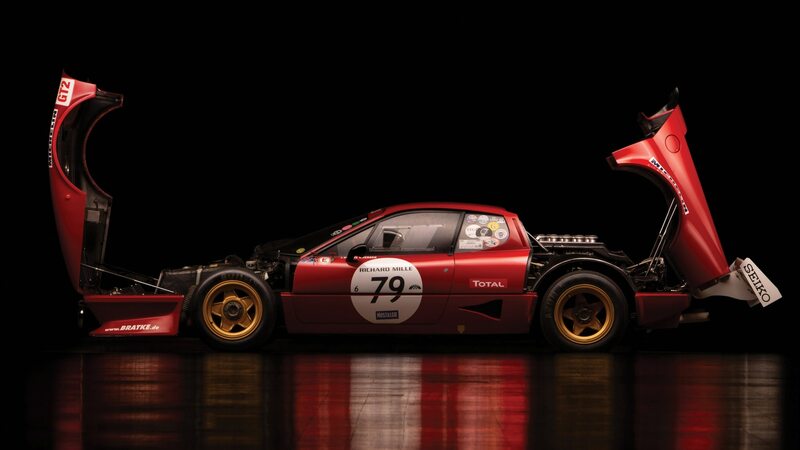 By then, the package was somewhat outdated with Ferrari offering a new ‘BB LM’ package for the 1979 season with fuel injection and an even wilder bodywork kit direct from Pininfarina. We think this early ‘Competizione’ is even better looking than the later version, allowing for delusions of actually using it on the road.